The 8th round of negotiations on the Transatlantic Trade and Investment (TTIP) agreement between the European Commission and the United States government took place in February with both sides hailing the meetings as ‘constructive’ amidst wider criticism on the slow pace of progress. Whilst it remains hard to predict if and when new rules designed to relax trade restrictions between the two regions will come into force, the TTIP could eventually make it much easier for European machine tool manufacturers to do business with their American counterparts. 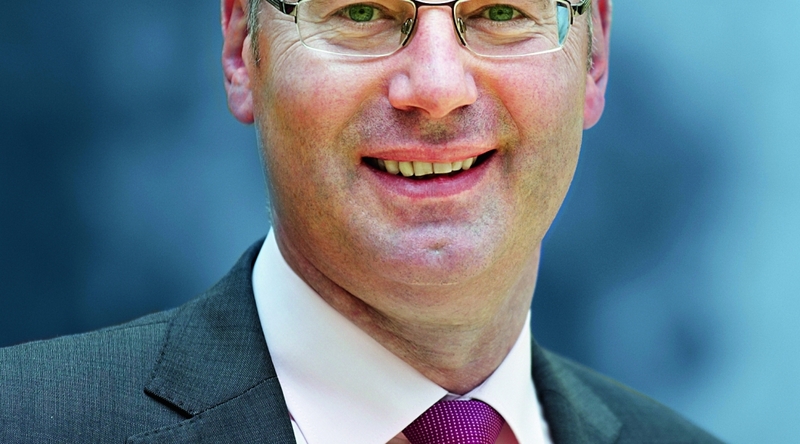 The US currently represents the second largest export market for European firms which collectively export around 16% of their products with a combined value of around €2bn across the Atlantic each year, according to estimates from Filip Geerts, director general of the European Association of Machine Tool Industries (Cecimo). “They [the EC and US government negotiators] are making progress and both sides of the ocean are taking it very seriously. But sometimes they can come up against other priorities or political intervention that mean it might have to be postponed for a while,” said Geerts. The draft TTIP proposal was delayed in 2014 for example when the US insisted that financial services should not be included in the TTIP negotiations, whilst there is continuing disagreement of the investor-state-dispute-settlement (ISDS) cause which would allow investors to take governments to international arbitration tribunals rather than domestic courts. Non-governmental organisations such as Friends of the Earth Europe, Compassion in World Farming and the Institute for Agriculture and Trade Policy have also argued that the terms of the TTIP will compromise food safety and animal welfare standards in support of faster trade, but Geerts doubts any significant protests from the machine tooling industry or business community. Rather, any objections which do surface are more likely to derive from concerns over health and safety practices, with the TTIP targeting several technical requirements, standards and conformity assessments which are specific to engineering. The US is a member of several ISO working groups for machine tools, including the working group ISO/TC 39/SC 10 on machine tools safety for example, and CECIMO believes that any international standard should provide a straightforward way to meet technical regulatory requirements in both Europe and the US. Geerts feels that the removal or reduction import and export tariffs – which he currently estimates vary between 2% and 4.4% – are not as big an issue for European tool and machine manufacturers as non-tariff barriers around bureaucracy and working visas for qualified staff. This may be particularly true for small to medium enterprises (SMEs) within the machine tooling industry estimated to export 50% of their production outside the European Union, but which have limited resources to devote to export activities. Even so the impact of trade tariffs may vary from one European country to another. 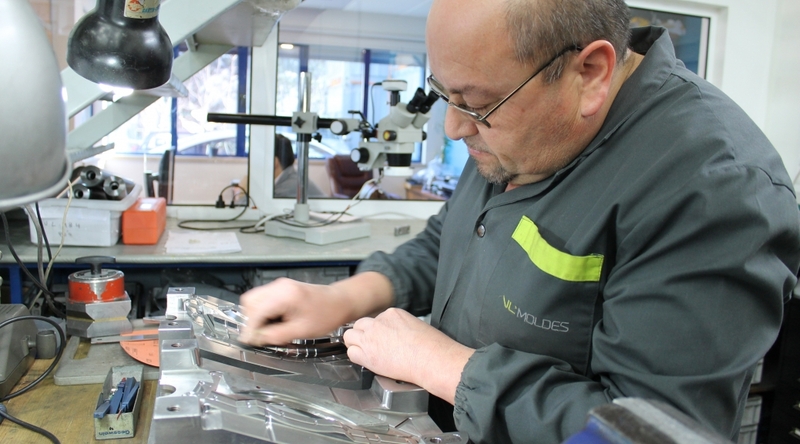 Portuguese tool and mould makers – which are estimated to currently export 90% of their wares to other countries according to Cefamol – are expected to benefit from the removal of tariff barriers to a certain extent. “Portuguese companies don’t feel too many constraints on their business related with rules, regulations or bureaucracy, [but] the removal of tariff barriers will certainly increase our competitiveness in the US market, which until the beginning of the 1990s was our main market,” said Oliveira though he points out that any relaxation of rules could also have unwelcome consequences in opening up domestic markets for cheaper imports. “If you remove trade barriers you will have a wider market with additional opportunities for development and growth, but on the other hand you will enter an arena where competition comes at you from many different places in the world,” he added. Geerts calculates that imports from the US specifically are ‘very, very small’ however, representing only around 5% of the total and trailing Japan, Taiwan and China by a big margin. Any harmonisation around interoperable technology delivered by the TTIP may also help European companies modernise their advanced manufacturing equipment, with Oliveira anticipating greater support for Portuguese mould makers’ efforts to reduce production costs, shorten time to market for new products, and improve their client service and support functions for example. The TTIP is a huge cross industry initiative which may have far reaching effects on many vertical sectors including agriculture and textiles. But ultimately its impact on the European tool and mould making industry, whilst positive, is likely to be far less profound. “I know the team at Crotts and Saunders is the right company to demonstrate the value that Hurco technology provides manufacturers throughout Virginia and the Carolinas. Hurco CNC technology is especially valuable for high mix/small batch shops where minimizing setup time and maximizing chip time is critical in order to increase profit margins. 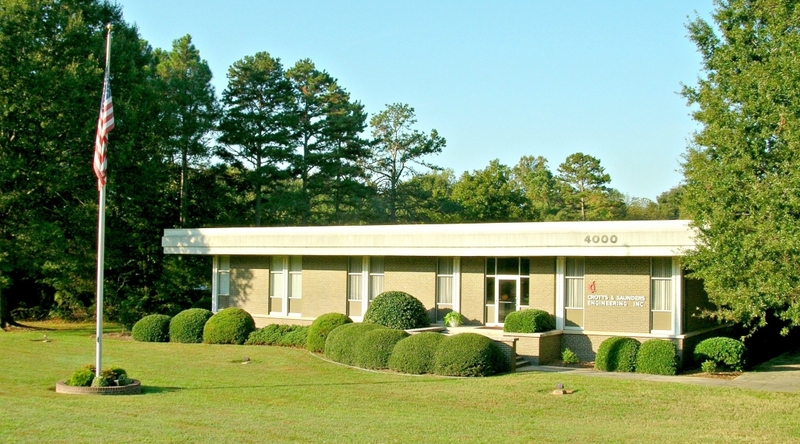 The dynamic team at Crotts and Saunders is dedicated to finding solutions that improve the speed and quality of manufacturing processes to reduce the overall cost to manufacture products, and I know the Hurco product line of CNC mills and lathes will be a valuable asset as they contineu to fulfill their mission,” said Joe Braun, General Manager of Hurco North America. Euromold organiser Demat has announced a partnership with Wohlers Associates principal consultant and president Terry Wohlers, Dr. h.c., and his team of consultants and associates. 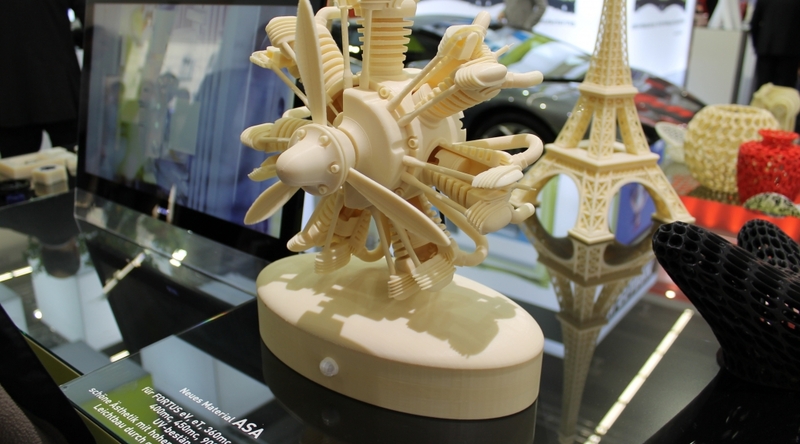 According to Demat, this strategic relationship would help to preserve Euromold as the world’s leading exhibition on additive manufacturing and 3D printing. Euromold 2015 takes place from 22 – 25 September 2015 at the Düsseldorf Exhibition Centre, Germany. Moulding Expo in Stuttgart (5 – 8 May), Euromold in Düsseldorf (22 – 25 September) and Formnext in Frankfurt (24 – 27 November). Related: Quo vadis, tool and mould makers? December US manufacturing technology orders totaled $506.89m according to AMT – The Association For Manufacturing Technology. This total, as reported by companies participating in the USMTO program, was up 32.7% from November and up 4.7% when compared with the total of $484.08m reported for December 2013. With a year-to-date total of $5,079.05m, 2014 was up 3.1% compared with 2013. Video – USMTO in a nutshell – AMT Vice President – Strategic Analytics Pat McGibbon comments on USMTO numbers and the manufacturing technology market in the U.S.
Visit our latest photo gallery! 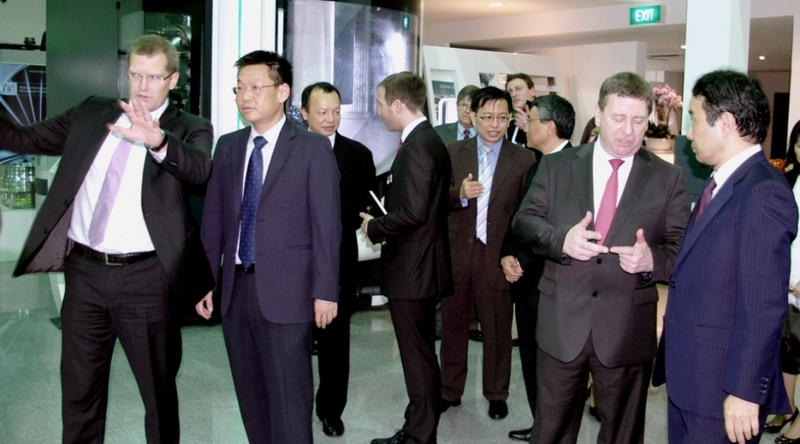 The atmosphere at the annual DMG MORI press conference at Deckel Maho Pfronten, Germany, couldn’t have been better. After the announcement two weeks ago that the Japanese partner DMG Mori Seiki Co would take over DMG Mori AG in Germany by acquiring the majority of the shares, one could have thought there might be a bit of hostility in the air. But Dr. Masahiko Mori, president of DMG Mori Seiki Co and Dr. Rüdiger Kapitza, chairman of the Executive Board of DMG Mori Seiki AG, appeared more united on the stage than ever before, it seemed. Dr. Mori emphasised that his plans to buy the majority of AG’s shares for €27.50 were by no means a take over, but rather a „coming together“, after having worked closely together for six years now. Both managers asserted that the price of €27.50 per share was a very fair price, even though the shares are currently ranking around the €29 mark; Kapitza added that the offer was a very fair and good offer, considering that the average share value over the last six months was €19. While Kapitza admitted that the time of the merger came as a bit of a surprise, it was a logical consequence of the partnership (both in technological developments as well as sales and service) between DMG and Mori Seiki, and interest rates were low at the moment. Founding a new company that was traded on both stock exchanges in Japan and Germany at the same time was too complicated and risky to realise. As a result, both companies decided it would be best if the Japanese DMG Mori Co took over the German partner, as credits and conditions were easier to handle in Japan. Mori emphasised that the shareholders are not everything, when asked about the amount of his offer. To him, customers and suppliers are important and by buying the majority of the shares the companies would move closer together, protecting their technlogy and knowledge. At the Pfronten Open House this week, DMG Mori expects to sell around 700 machines; very optimistic figures but achievable, as last year’s financial results have shown. According to Kapitza, 2014 was the best year for the AG ever, and while the overall forecast figures in terms of machine tool sales are looking positive for 2015, he said that 2015 would not be the easiest year, considering volatile political and economic circumstances. The purpose of the voluntary public takeover offer is to raise the current voting ratio of DMG Mori Seiki Co. in DMG Mori Seiki AG, which is currently 24.3%, to more than 50%, the Japanese company said. It added that the minimum target number of shares to be offered by AG will be set as 50% plus one share. There will be no maximum target number of shares of DMG Mori Seiki AG to be offered, the company said. The Japanese company offered €27.50 for the shares of DMG Mori Seiki AG it doesn’t already own, according to a statement from the Bielefeld-based company after the close of trading on 21 January. 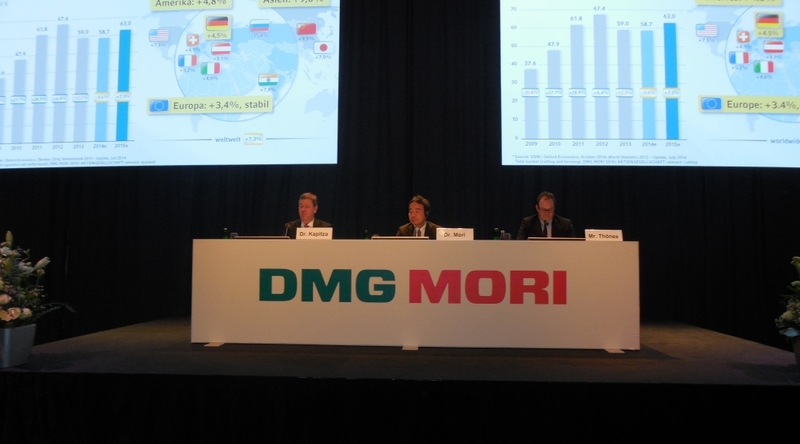 Germany’s DMG merged with Mori Seiki in 2009. According to DMG Mori Seiki Co., the successful tender offer will realise the integration of the two Partner companies as consolidated companies, from which more cooperative effects can be expected. In the area of sales, centralisation of Information is said to enable proposals and support that better meet customer needs and will contribute to further sales. The advisory board of Rapid-Tech has decided to expand the event and to continue to make the conference program and accompanying exhibition more international, Messe Erfurt announced. Rapid-Tech has been one of Europe’s most important informative events in the field of additive manufacturing technologies for 11 years, attended by visitors from more than 20 countries. See our January photo gallery here! The initial focus of the internationalisation strategy will be Great Britain. Consequently, Messe Erfurt has opened its first office abroad to provide support for exhibitors and promote the event to visitors. To do this, it has partnered with renowned exhibition consultants Lincoln West, whose clients include Messe Stuttgart. 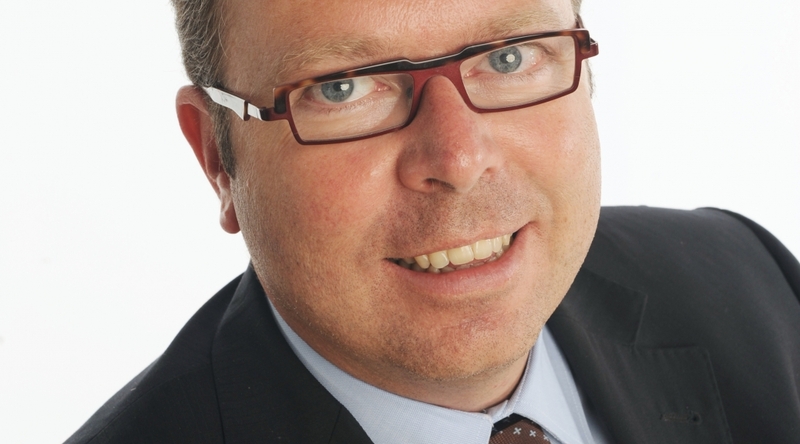 Messe Erfurt’s CEO, Wieland Kniffka, also announced extensive plans for Switzerland. In September 2015, Messe Erfurt will use its trade fair platform “Rapid-Area” to bring the topic of additive technologies to the most important medical technology trade fair in Switzerland, the Swiss Medtech Expo at Messe Luzern. In return, the Swiss trade fair will organize a booth at Rapid-Tech in Erfurt. “With this strategy, Rapid-Tech will continue to benefit from being an international hotspot for research and industrial applications”, says the chair of the advisory board, Michael Eichmann, Managing Director of RTC Rapid Technologies & Consulting GmbH. Rapid-Tech in Erfurt (10 and 11 June 2015) will have a new, optimised structure: New topics, visionary outlooks and insights and even more information will make the conference and trade fair more attractive to both visitors and exhibitors. Keynote presentations by market leaders such as Airbus, Microsoft, Hermle and Arburg have already been confirmed as part of the event program. There will be a purely scientific section for the very first time. Presentations on topics such as materials and quality assurance will be at the heart of the two-day convention. The forward-thinking “Vision 3D” will also make its début. This will not only cover future concepts and wide-ranging debates, but will also present promising applications and visionary approaches for additive manufacturing by practical examples. Another new feature will be the “Tools” expert forum. This will focus on the application of additive manufacturing processes in manufacturing cutting dies and embossing tools, injection moulds and die-casting moulds. The possibilities and limitations of the various processes used to manufacture moulds and tool elements will also be discussed. The established “Medical Technology” and “Aerospace” expert forums will provide an opportunity for intensive, expert discussion of these leading AM fields. The “New Technologies” user conference will once again feature on the agenda. For the past eleven years, it has been an important forum for people to discuss current development trends in additive manufacturing The “Design Engineers’ Day” will also return – the event that gives design engineers the opportunity to learn about the basics of layering technologies and the associate design freedom, and to gain detailed knowledge of process-specific features and limitations. In addition, Rapid-Tech 2015 will host the Fraunhofer Additive Manufacturing Alliance forum. This will cover the practical, scientific aspect of the field and inform visitors of innovations that are still at the development stage. 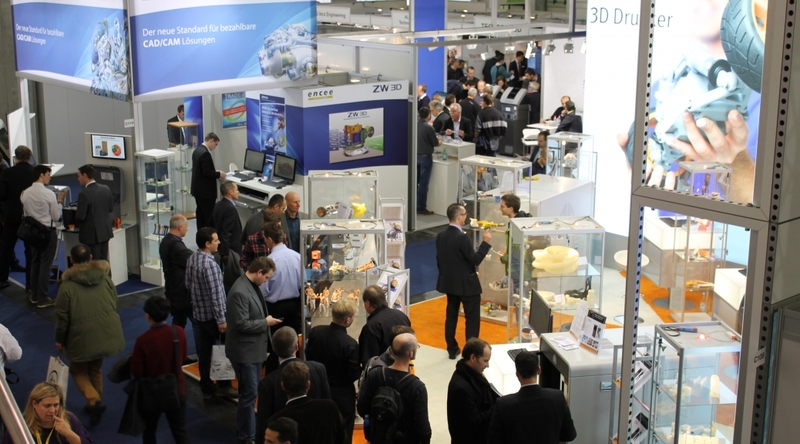 In parallel to Rapid-Tech on 10 and 11 June, Messe Erfurt will also host the third Fab-Con 3D trade fair for semiprofessional users and prosumers in the field of 3D printing. 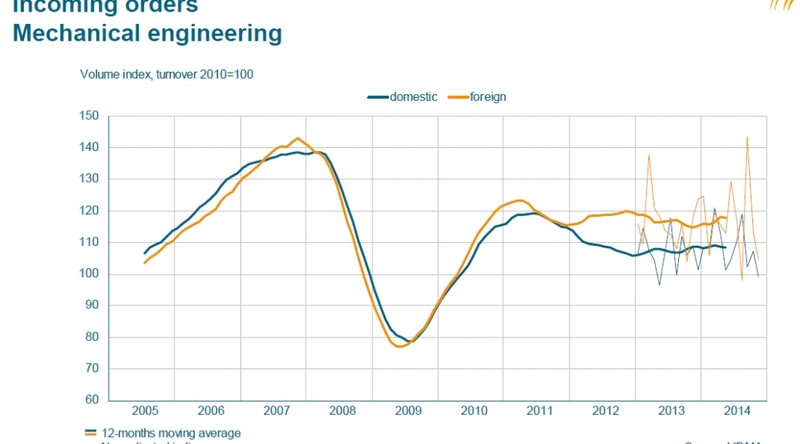 The German Engineering Association (VDMA) announced in Frankfurt on Tuesday that domestic business fell by 9% and international business was down 11% year-on-year. However, in the first ten months of the year, production of machinery and plants in Germany was up 1% year-on-year in real terms, VDMA announced in December. Based on a three-month comparison, which is less affected by short-term fluctuations, incoming orders rose by 3% year-on-year between September and November 2014. Domestic orders were down 6%, while international orders increased by 7%. “After five months, incoming orders fell short of the previous year for the first time in November – by as much as a tenth. Orders from euro area partner countries were the only glimmer of hope. Overall, November is to be seen as a setback,” commented VDMA Chief Economist Dr. Ralph Wiechers.